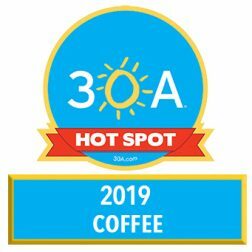 Seaside‘s undisputed hot spot for coffee, Amavida Coffee is a local family-owned business, with its own roasting facility just a few miles away. If you’re further east, you can visit Amavida Coffee’s second location in Rosemary Beach. There are currently no special events scheduled at Amavida Coffee & Tea (Seaside). Click here to add an event.